The Carmel – Nazareth tour offers a wide range of sights, landscapes and adventures and includes a vast variety of cultural experiences starting on the Mediterranean coast, crossing Mount Carmel and the Jezreel Valley, across the rolling hills of the Lower Galilee, passing through Druze, Jewish and Bedouin villages, historical sites and nature reserves and ending in Nazareth, the hometown of Jesus. Day 1: Caesarea to Zichron Ya´akov. The route goes from the north end of ancient Caesarea, the city built by Herod in 10 B.C. in honour of the Emperor Augustus. It is highly recommended to join a tour of the Old City the day before the start of the trek. The day starts with a pleasant morning walk along the Mediterranean coast passing a well-preserved Roman aqueduct and a small fishing village situated at the source of Nachal Taninim (Crocodile River – there were still crocodiles here up to the beginning of the 20th century). The trail continues eastward towards Mount Carmel through an area that was once covered with swamps. On the Carmel there are amazing observation points, ancient agricultural farms which have been restored and other surprises. 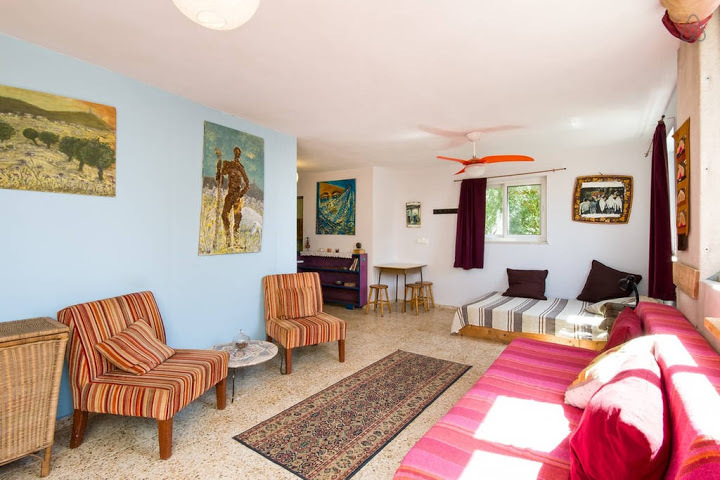 Overnight B&B in Zichron Ya´akov. 17Km, 7.5Hrs. Day 2: Zichron Ya´akov to Ein Hod Artists´ Village. A short ride from Zichron Ya´akov to the start of the trek near a quarry. You will soon see a large carob tree representative of the plant life in the region. The trail today crosses the western part of the Carmel Mountain slopes parallel to the coastline. In the first part of the day the wide paths cross an area of green bushes that change to natural forest growth combined with man-planted pine trees. Between the trees and bushes you can see now and again, the stunning scenery of the coastline to the west. 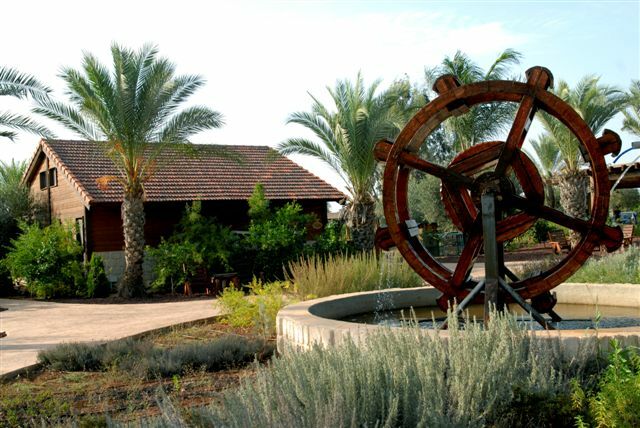 Further on there are a number of forest parks where you can get some rest, observation towers, you can visit the nature reserve of prehistoric caves, olive groves and almond trees, terraced ravines until you arrive at Ein Hod Artists Village 16.5 Km , 6Hrs. (including caves – approx. 7.5Hrs). 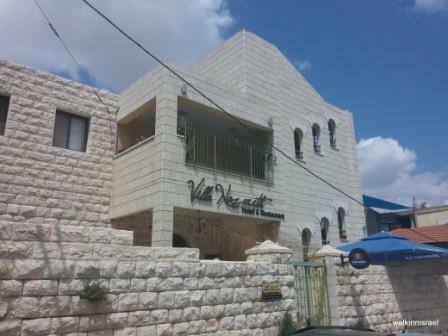 Day 3: Ein Hod to Usfiya. The trail starts in Ein Hod and straight away you notice the renewed growth after the great fire of 2012. The path goes through rocky, rugged limestone landscape winding over the boulders from time to time. The trail is, relatively speaking, more challenging than the previous days and has up climbs and down climbs. There are beautiful spots hidden in the wadis, springs, ancient stones and stories dating to World War II and the British Mandate in Israel. The day ends in the Druze village of Usfiya located on the top of the Carmel Mountain commanding a panoramic view of the surrounding green hills.15Km, 5-6Hrs. * A recommended option is to stay overnight in Usfiya and spend the following day on a tour of Haifa (not included in the trek price). Day 4: Usfiya to Kiryat Tivon. 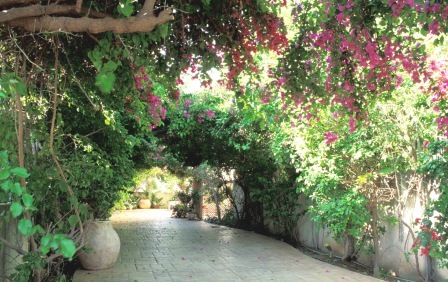 Starts in the narrow streets of the village of Usfiya and continues past the spring towards Nahal (stream) Yagur. The trail in the canyon winds between rocks and waterfalls in the shade of natural wood growth - oaks, Terebith Trees, Juda´s Trees, Laurestines and True Laurels. When leaving the stream the Haifa Bay unfolds before you. 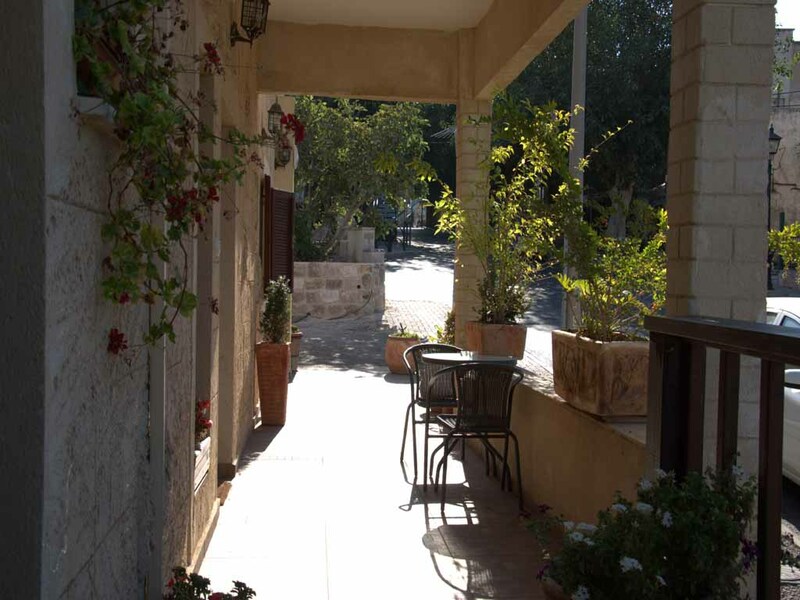 You can stop for a while at Kibbutz Yagur at a café to freshen up. Further on the landscape changes completely from limestone to the rolling, rounded hilltops of Lower Galilee. On the way you will pass a Moshav and a Bedouin tent and end in the well-kept little town of Kiryat Tivon. 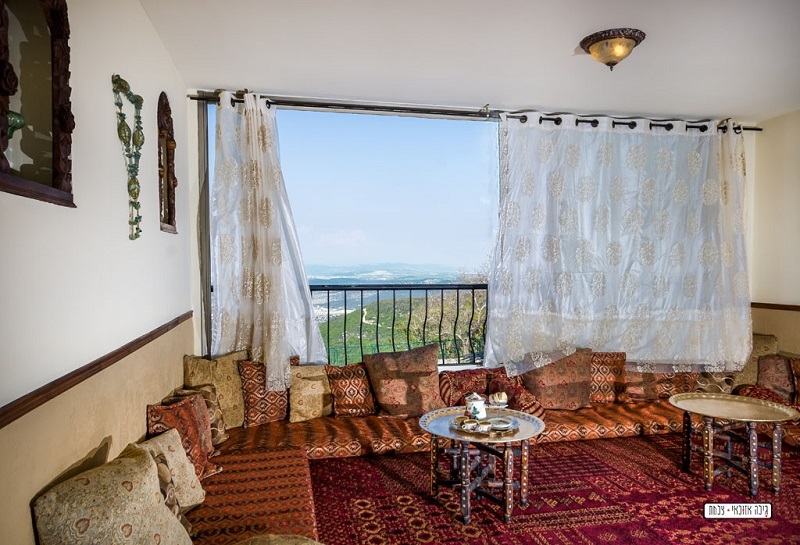 From there a car shuttle will take you to your overnight in the Galilee Bedouin Camplodge at the bedouin village of Ka´abiya Tabash. 16Km, 6.5-7Hrs. Day 5: Ka´abiya Tabash to Hosha´ya. Today´s trail crosses different cultures and forms of settlement. It starts in Ka´abiya Tabash and continues through Bedouin villages in the hills surrounding Nachal Zippori. It crosses the stream and the big spring, passes through densely wooded hills and fields where you will meet the local inhabitants and probably be invited for coffee. Continue over one of the busiest intersections in the north of the country. Olive groves and orchards are alongside the trail close to the Moshav and ancient city of Zippori (Sepphoris). Overnight stay in the religious community of Hoshaya. 18Km, 7-8Hrs. Day 6: Zippori to Nazareth. The day starts with a visit to the National Park of Zippori, which was the capital of the Galilee and an important Jewish centre in Roman times. The tour is self-guided; the ancient city with some of its houses renovated, streets, bathhouse, magnificent villas, theatre, impressive mosaic floors (one depicts a woman known as "the Mona Lisa of the Galilee") and a sophisticated water system. The tour lasts about two hours. At the end you reach the road on the outskirts of Nazareth (the city of annunciation, where Mary received the news that she was to give birth to the Son of God) and through the alleys of the old town you arrive at the hotel* in the centre of town. 9.5km, 4Hrs. (not including the tour of Zippori). * It is highly recommended to take a map from the hotel and tour the city´s many attractions. 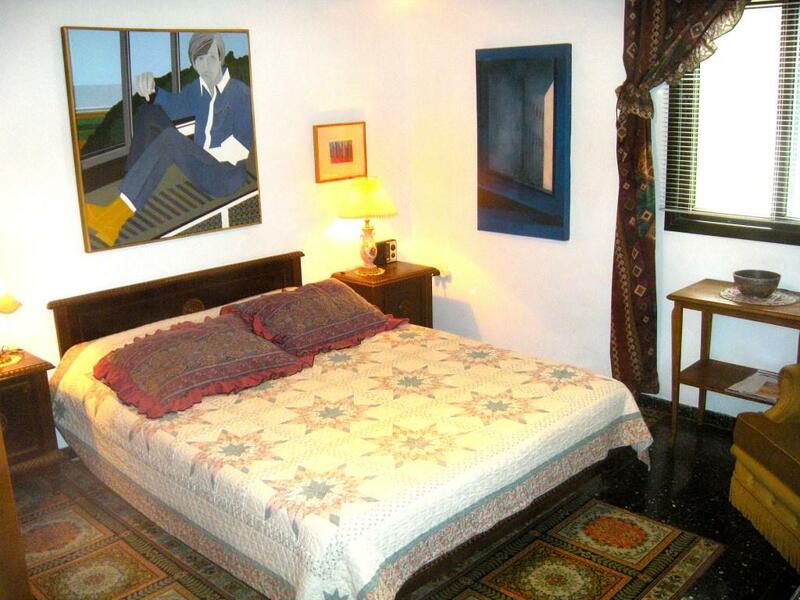 Another option is to stay on at the hotel and do the tour on the next day. (not included in the trek price).